Happy Earth Day! Did you celebrate in any special way? I made use of the new recycle bags provided by Platefull Co op. There is one designated for glasses, one for paper and one for metal. Although it's an extra task, it doesn't take too long to recycle and the environment will thank you for it through clean water and air. These bags are cute and very colorful to get your attention. I also celebrated by trying to become one with the earth through meditation. OK, not really. I was doing yoga, but I am on the ground and that's closer to the earth. 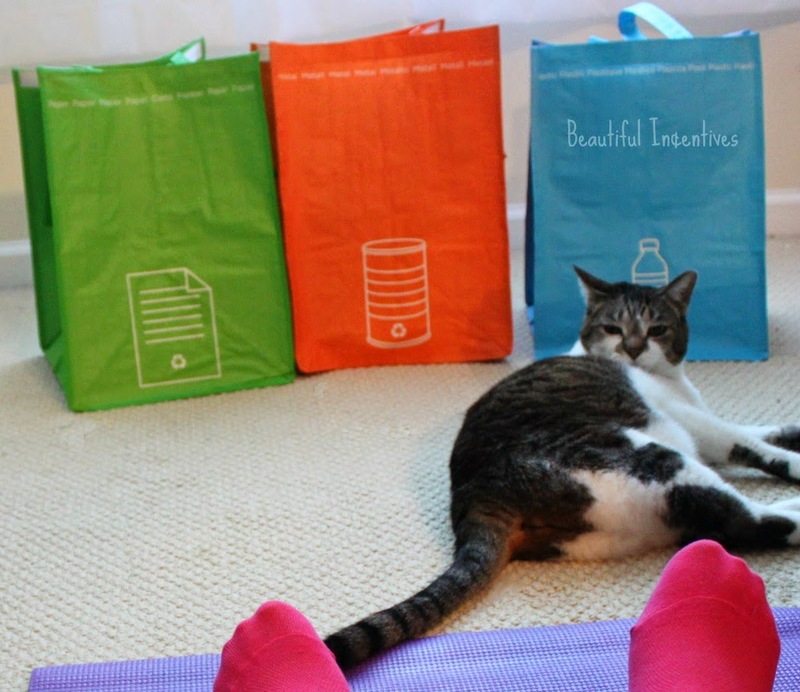 My cat Lilfur is in amazement wondering what i'm doing because it's been a while since I did yoga or maybe she just wanted to do it with me. I'm not sure, but she was intrigued and when mommy lays down, she lays down! I often create recycled art as gifts or just for fun with DIY and that is another way I contribute to a better environment. There are so many things you can do to help the environment. Simple things like turning off the water when you're not using it, taking shorter showers and guess what, it saves you money too! What I love most about Earth Day is the sales on healthy foods! 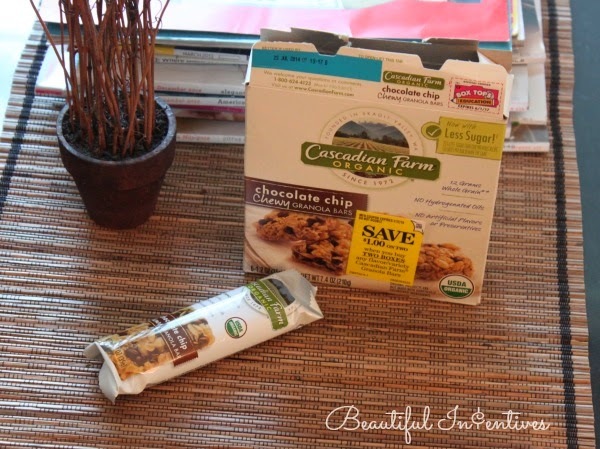 Some of my favorites are on sale, like these Cascadian Farms Organic granola bars. Those are so yum. I've been eating them as a snack every day this week. It's been helping me keep my weight off and gives me that small indulgence of chocolate I always need. 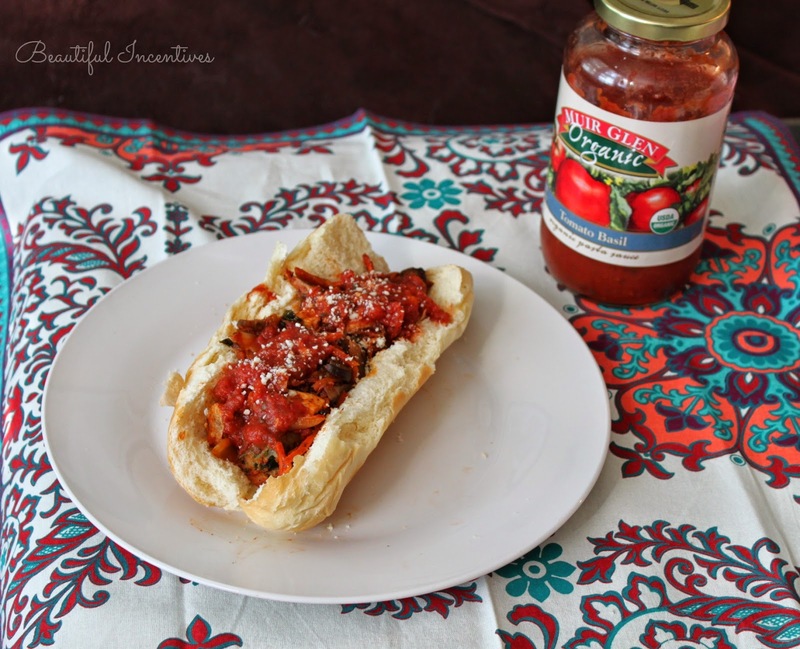 And I just tried some Muir Glen Organic pasta sauce and tomatoes on a chicken sausage sandwich. I added some fresh mushrooms, onions, basil and carrots to make it an amazing din din. Right now, there's a grand sale going on , in celebration of Earth Day and it doesn't end until May 5th so grab those coupons while you can! You'll find coupons and details in the purple Publix Every day saver Easter savings booklet. $2 off 2 Cascadian Farm Frozen Organic Fruit, Vegetables or Potatoes 8-16 oz. Honestly, every day should be earth day. The Earth gives us so much, the least we could do is treat it nicer! Try making small changes little by little and you will see how easy it is to help develop a healthier environment. If you already do, Awesome! You are one of few! Although more and more people are realizing the importance! I continue to keep reusable bags in my car but continually forget to bring them into the store! It's a terrible thing, but I just can't seem to get the hang of it! Thankfully our area for recycling we don't have to separate plastics/paper/metal/glass- so it all just goes into the bin :) Yay! That photo of your cat is great. We don't have a Publix in Denver, but I do love those products. 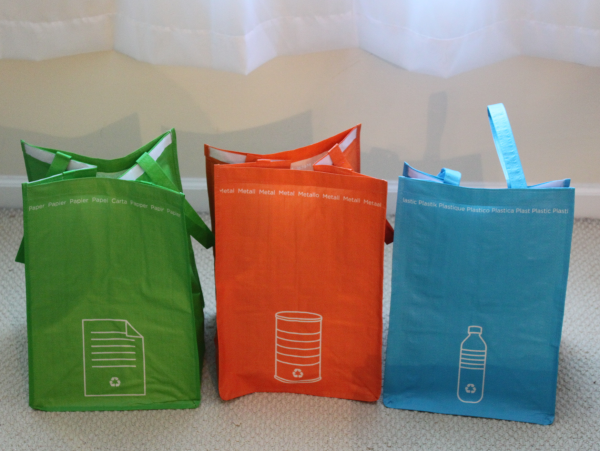 What a great idea with those recycling bags! We celebrated Earth Day by walking to the bus stop this morning and walking home afterwards. Now that the weather is nice we will be doing it more often! Love the bags!! We got them too. That chicken sausage sandwich looks DELICIOUS!!!! I always use reusable bags... and it sounds like I need to head to Publix right now!